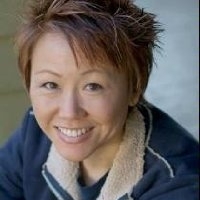 Lisa Yee’s 2003 debut novel, Millicent Min, Girl Genius, won the prestigious Sid Fleischman Humor Award. Since then she’s written 18 more novels and has almost three million books in print. A Thurber House Children’s Writer-in-Residence, Lisa’s accolades included being named a Fox Sports Network “American in Focus,” Publishers Weekly Flying Start, and USA Today Critics’ Top Pick. Her most recent books include the popular DC Super Hero Girls middle grade novel series. You can visit Lisa at www.lisayee.com or check out her blog www.lisayee.livejournal.com.